Organisers of the Husqvarna Classic Mid-Illovo MTB Challenge are ready to roll with one of KwaZulu-Natal’s most popular events at the Mid-Illovo Club on Sunday. Event organiser Shanon MacKenzie said the line-up of races catered for everyone. 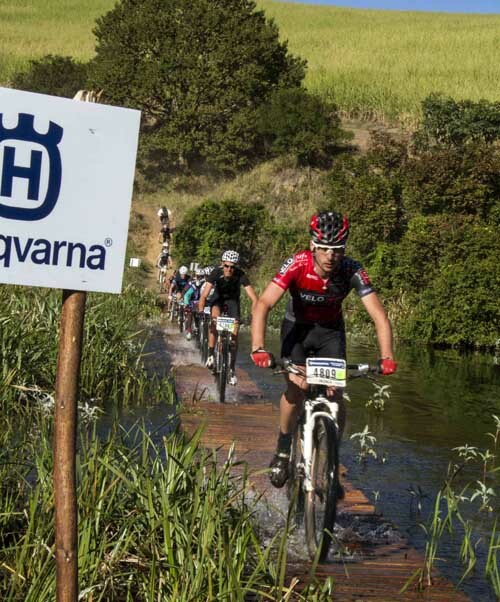 Seasoned mountain bikers can tackle the rugged terrain of the 40km Husqvarna MTB Classic while less experienced riders can choose from the 18km Gwahumbe Family Experience and 10km Fun Ride. The event forms part of the Quattro Roag Series. She said that the organisers prided themselves on the fact that theirs was regarded as “the best singletrack of any single-day event”. Riders can once again also look forward to the 60m long floating bridge. Last year’s overall mountain bike race winner, Callan Deacon, was one of many riders to comment on the quality of the track. Proceeds will be used for community upliftment programmes run by beneficiaries such as the Mid-Illovo Club, Arden Farm School, Mid-Illovo Conservancy and Kwanalu. For more info, go to Husqvarna Classic Mid-Illovo MTB Challenge.